Wow! Dam is a 5 X Judge's Choice and sire is a 9 X Judge's Choice, this robust youngster comes by his stunning looks as a result of the amazing genetics passed down by his dam and sire. His brother was TWICE crowned (2016 & 2017) National Light Male Suri Supreme Champion as a juvenile and yearling. First Show First Banner!!! 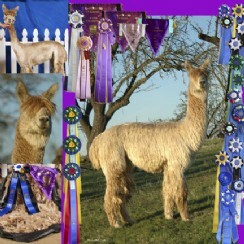 Awarded Reserve Color Championship Banner finishing Runner Up to his big brother Cosmic Dust. Tinity has done it again! Another Girl, this time out of Sierra Bonita's Pervuian Sniper! Sriracha is her name and boy does she live up to it! This little girl is poised to follow both her sisters footsteps to become a champion in her own right! After such a great performance of crias we decided to send Tintiy out to Goldstar to pick up some new genetics! Once again she knocks it out of the part with a girl who. Is just as bit as nice as her first cria Pear Blossom!!! Tintiy is one of our best producers! Giving us female crias year after year! If you are looking for a foundation female that really has an excellent track record or want to get started with an amazing foundation girl, Tintiy is it!!! 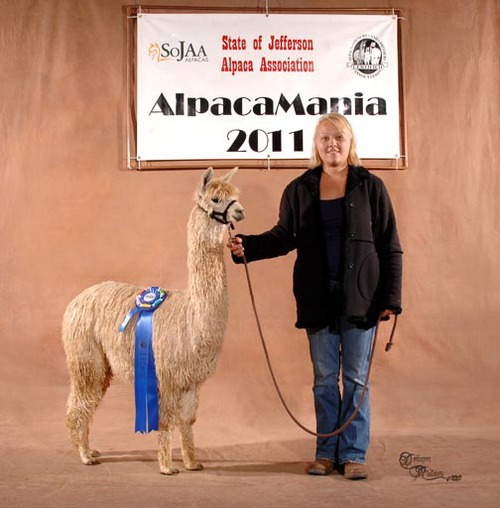 Tintiy is currently breeding to Herdsire of the Year, Chakotah of CCR Suris, for another amazing cria! 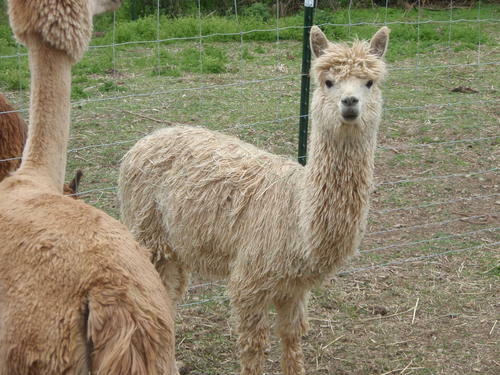 And guess what she didn't disappoint, another female cria, this time light fawn! 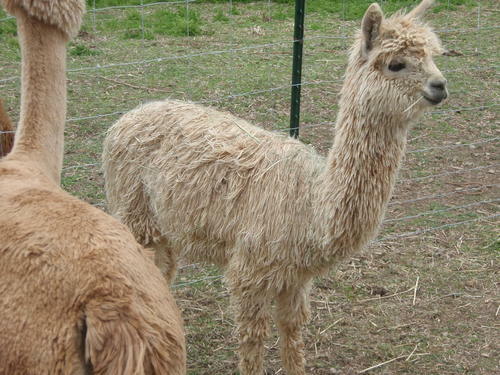 We are very impressed with Tintiy's ablilty to grow large, healthy crias! Another reason why Tintiy is still here at Rogue Suri Alpacas! Tintiy has been breed to our newest addition to Herdsire row, Spectacular Bid!